Saranac Partners is a wealth management partnership based in London and launched in 2016. We pride ourselves on always being on the same side of the table as our clients. Today’s wealth management industry is characterised by complexity. Saranac Partners advocates a more straightforward approach that is based on thinking clearly and acting with focus. As a privately owned firm, we are able to dedicate all of our time and energy to serving private clients. We believe deeply in intellectual capital, expertise, experience and credibility. We are also creative, lateral in our thinking, responsive and proactive. Our people and culture are our competitive advantage. We believe we can deliver better results as an integrator, using a combination of in house expertise and our network of specialists. Our focus is knowing our clients and deploying expertise, creativity and resources to structure the best possible solutions. We work with partners freely and openly to do that. Saranac Partners believes in the power of the network and building connections with other successful individuals and institutions who offer a fresh perspective. We partner with firms across all aspects of managing and structuring private wealth. Wealth management works best when we’re all on the same side. Our independence allows us to guide you to the most appropriate solution across the whole of the market, which we then deliver to you seamlessly. Saranac Partners was founded by a group of like-minded colleagues. Their vision to build an independent financial advisory firm, dedicated to serving private clients, progressed from a conversation around the kitchen table at the end of 2014 to the firm of over 40 people that exists today. The firm was designed from a blank sheet of paper with the mindset of creating a business and model that was open-minded, unencumbered and forward facing. Our mission is simple. We aim to be a centre of resource and expertise to support a small number of clients. Through a combination of in-house expertise and strategic partnerships, we provide clients with the service of a family office alongside the capabilities of a large institution. Our approach is attractive to individuals and families with assets held in a variety of structures, and often across multiple jurisdictions, who are looking for a comprehensive and bespoke service. We offer confidential advice, new ideas and innovative ways to protect, grow and transfer wealth. In all areas people are critical. At a time when managing wealth arguably involves more risks, opportunities and complexities than ever before, Saranac Partners has the experience, insight and network required to solve today’s financial challenges. Our ambition was to create a firm built on a sustainable partnership of clients, staff and investors. Our people care deeply about our clients and about the firm. We put our resources, flexibility and creativity at our clients disposal. Our expertise ranges from investment management and trust and fiduciary services to lending and corporate finance. This breadth allows us to take a comprehensive view of your wealth and then find the most effective strategies for your personal assets and business interests. Our proposition and people are strengthened by the use of an integrated and scalable technology platform specifically designed for private clients. The latest technology also enables us to communicate effectively, by providing information about account balances, transactions and valuations via our own digital application that is clear, detailed and tailored to individual needs. Saranac Partners Limited is authorised and regulated by the Financial Conduct Authority. The team at Saranac Partners is made up of a diverse range of experienced people from leading institutions across the industry. An independently chaired Board to maintain the highest standards of governance and control. Having an independent Board ensures the protection of the alignment of interests between the firm and its clients, employees and shareholders. The team at Saranac Partners is comprised of highly experienced individuals, many of whom have worked closely together for a number of years. This brings deep alignment of values and goals. A partnership of relationship managers, proposition, operations and technology experts from across the industry. We have assembled a team that is committed to serving private clients and have all the expertise required to meet client needs. Allan joined Saranac in December 2017 from UBS Wealth Management as part of the Operations team. Allan has over 17 years experience in private banking and has a bachelor’s degree in Mathematics & Management from King’s College London. Andrew joined Saranac in 2015 with responsibility for building the technology and operations platform including the client reporting application. He brings more than 25 years of experience in investment management and management consulting. Andrew joined Saranac in 2016 having advised the firm since its inception in 2015. Andrew has over 20 years investment banking experience at Hoare Govett, Phoenix, DLJ and Citigroup. Andrew is a member of CISI and a graduate of the LSE. Benedicte joined Saranac in 2019 from ACPI, where she was a Partner. Previously she was an Executive Director at UBS Wealth Management covering clients in Russia, and Deputy Head of Funding at the EBRD. Benedicte studied at HEC and Institut d’Etudes Politiques in Paris. Benjamin joined Saranac in 2016 from Barclays to focus on bespoke investment solutions, advisory and execution. Benjamin has an undergraduate degree in Accounting & Finance from the University of Warwick. Brent joined Saranac in 2016 from Barclays where he led the UHNW investment proposition. Brent formerly worked at Morgan Stanley as an Investment Advisor. He studied at the University of Sydney and completed his studies at the University of Vienna. Christina joined Saranac Partners in 2016 from Sanctuary Personnel where she acted as Assistant to the MD, CEO and CFO. Prior to this Christina held the dual responsibility of Assistant to the Executive team and Office Manager at IV Global. Christophe joined Saranac in 2018 from NNS Advisers, a London based Family Office, where he was the Investment Strategist. Previously, Christophe was a Fixed Income Portfolio Manager at Societe Generale Private Bank in Luxembourg. Christophe holds a MSc in Risk & Asset Management from the EDHEC Business School. Dan joined Saranac in June 2016. Previously he spent a number of years at Barclays covering HNW & UHNW clients focusing on entrepreneurs and business leaders. Dan studied Economics and is a Member of the CISI. David joined Saranac in 2015 as a Senior Advisor and served as an Executive Director from November 2016 to January 2018. He is also the founder and Chief Executive of Pi Capital. David is also a senior advisor to AMG and BC Partners. Edmond joined Saranac in 2016. He previously worked at HSBC as the Head of Discretionary Portfolio Management, having held similar roles at Citigroup and Barclays. Ed has over 20 years experience, holds the CFA and studied at University College London. Elizabeth joined Saranac in 2017 as part of the On-Boarding team. Elizabeth joined from Rothschild Private Wealth where she was providing Client Service to HNW clients and prior to this, worked at Barclays Wealth in a similar role. Emily joined Saranac in 2015 from Barclays, where she worked initially in a client facing role before moving into front office process improvement. At Saranac she works alongside Head of Clients. She has a Masters of Biochemistry from Oxford University. Giovanni joined Saranac in 2016. Previously he was an MD in the JPMorgan team covering UK/International family offices, senior financial executives, and entrepreneurs. Giovanni studied at Oxford and Cornell Universities and is on the UK Committee of charity: water. Gordon joined the Board of Saranac in 2017 and chairs the Remuneration Committee. Gordon is Head of Strategy and Corporate Activity for Aberdeen Standard Investments. Previously, Gordon was joint CEO of Cantor Fitzgerald Europe and CEO at Intelli Partners. Gray joined Saranac in June 2016 having previously advised the firm since its inception in May 2015. Gray has 25 years experience in the wealth and asset management field as a corporate and regulatory lawyer and was a partner at Mishcon de Reya. Jeff joined the Board of Saranac in 2017. Jeff is a U.S. based investor and an innovator in both the private equity and alternative asset industries. He currently represents his family’s interest as founding partner of White Oak Equity Partners. Jeremy joined Saranac in 2016, having started his career in 1982. Previously he was a Vice President of JPMorgan Private Bank, Head of Schroders advisory investment management business and latterly MD and Executive Committee member at Kleinwort Benson. Katherine joined Saranac in 2018 from ACPI, where she was a Managing Director. 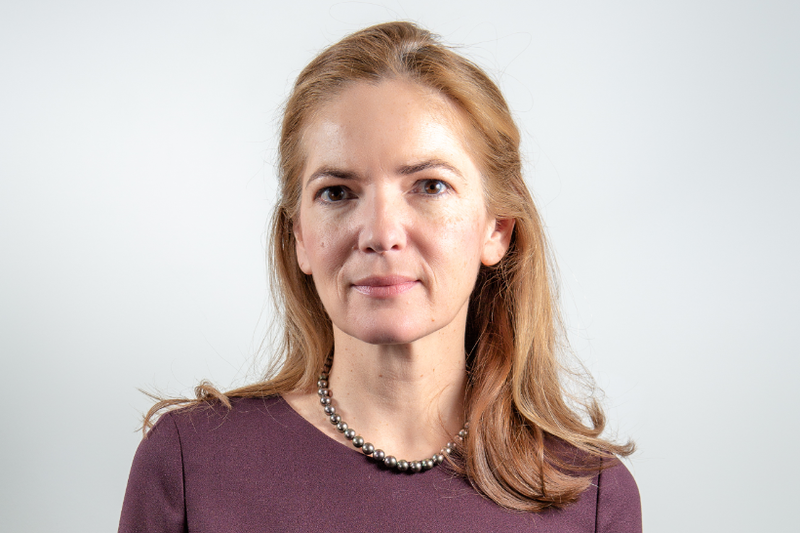 She spent the majority of her career at Morgan Stanley covering clients in the UK and Europe before joining Credit Suisse UK Private Bank in 2013. Katherine studied Modern Languages at University College London. Maria joined Saranac Partners as a founding member in 2015 and is the Executive Assistant to the Co-managing Partners. Maria had worked with all of the founding members of the team for several years at Barclays prior to joining Saranac. Maria Porta joined in 2017 from UBS and has over 17 years of experience advising UHNW clients. Prior to UBS she was Co-Head of the Barclays UHNW team Madrid. She is an accredited Banker in Europe and Switzerland. She has a degree in LAW and a 4 year Diploma EULaw. Mark has worked in financial services for over 30 years and held a number of senior positions at Barclays including running the UK private bank and Investment Bank. Mark is also an active angel investor and holds a number of non-executive roles. Megan joined Saranac in May 2018 and is responsible for front of house, as well as the assistant to the proposition team. Michelle is responsible for managing Business Development at Saranac. Michelle was previously Head of Distribution within the Global Investments & Solutions Division of Barclays Wealth. Michelle has a degree in PPE from Oxford University. Mike joined Saranac in 2017 from Floreat Group, a family office based in London, where he focused on direct investments. Mike has 14 years of experience, starting his career in investment banking at JP Morgan before moving to Barclays where he was a Director. Nathania joined Saranac in 2018 and supports the Head of Governance. Previously she was a Senior Manager in the Wealth Management arm of Commonwealth Bank of Australia. She has completed a Masters of Law from University of Sydney. Ossama joined Saranac in 2016 having spent 15 years with Barclays covering Middle Eastern clients. Previous to that he spent 7 years with Flemings. Ossama started his career in 1975 with UBAF Bank and has a BSc from Manchester University and an MBA from City University Business School. Phil joined Saranac in 2016. Prior to joining Saranac Phil was Head of Compliance for Lombard Odier’s European Private Bank and previously held similar roles with HSBC, Credit Suisse, Schroders and J P Morgan. Riccardo spent 17 years at Morgan Stanley in a variety of senior roles including Head of European Debt Capital Markets, Head of European Media Group and Head of Investment banking in Italy. After Morgan Stanley he joined Lazard in 2005 where he worked on cross European mergers and served as Chief Executive Officer of Lazard Italy. Richard is Chairman of the Saranac Investment Committee. After working as an economist at the Bank of England, he held senior investment roles at Warburgs, a Macro hedge fund, Gartmore and BlackRock. Richard joined the Board of Saranac in 2017. He has over 30 years’ experience in financial services, primarily at JP Morgan, and is now a member of the Supervisory Board at Deutsche Börse AG and Senior Independent Director & Chairman of the Remuneration Committee at Man Group plc. Rick joined Saranac in 2015 as Head of Enterprise Technology. Rick was previously Head of Major Projects, Key Transactions & Events for Barclays End User Technology. Rick has an undergraduate degree in Computing from City University. Rob joined Saranac in 2015 from Barclays and works both as part of the client adviser and private capital teams. Rob has Masters in medieval history from Oxford University and a BA from York University. Robert joined Saranac in July 2016 from Barclays where he focussed on providing UHNW clients with capital market and private capital solutions. Robert has an undergraduate degree in Politics, Philosophy and Economics from Oxford University. Robert joined the Board of Saranac as Chairman in 2017. He was also recently appointed as Chairman of Permanent TSB Group Holdings Plc in Ireland. Robert was previously Chairman and Senior Partner of Linklaters between 2011 and 2016. Robert continues to act as Partner Consultant and Chairman Emeritus for Linklaters. Rupert joined Saranac in 2017 from Barclays where he was co-head of UHNW portfolio management. Formerly, Rupert was Head of Investment Management at Rothschild Wealth and a fund manager at Aberdeen Asset Management. Rupert is a graduate of Manchester University. Rupert joined Saranac in 2018. He has previously worked at global banks including Julius Baer, Barclays and Credit Suisse covering UHNW clients and specialising in financial services. Rupert holds an MBA from Cass Business School and a Bsc Physics from Exeter University. Salah joined Saranac in 2019 from ACPI, where he was a Partner. Previously he was a Managing Director at Credit Suisse UK Private Bank and an Executive Director at Morgan Stanley where he spent 14 years. Salah studied Economics and French at St Mary’s College, California. Sara joined Saranac in March 2016 and is responsible for HR. Sara has a Masters in Personnel and Development and a degree in Economics and History from Leeds University. Simon joined Saranac in 2015 from Lombard Odier and manages both the Operations and Client Onboarding functions. Simon has 20 years experience in Operations, previously working at Close Brothers Asset Management, Rea Brothers and ING Barings. Simon is joined Saranac in 2016. In addition to his role as CFO he also supports our Private Capital proposition. Simon previously worked for Barclays and started his career as a consultant with Oliver Wyman. He holds a Masters in Engineering Science from the University of Oxford. Steve joined Saranac Partners in August 2017. A Chartered Tax Advisor by background, he has a career in tax/financial services spanning 30 years including time at PwC, UBS, Credit Suisse, Coutts and latterly JP Morgan. He studied Geology at Imperial College and has a Masters from Royal Holloway College. He also holds the DipPFS qualification. Steven joined Saranac in April 2017 from Schroders as part of the Operations team. Steven has an undergraduate degree in Mathematics & Finance from City University. Suraj joined Saranac in 2016 responsible for Fund Manager Research & Selection. Previously at Barclays he was Head of Alternatives Portfolio Management. Suraj holds a BSc (Hons) in Actuarial Science from CASS Business School. Tanvi is Managing Partner of Saranac and is responsible for all client activities. Tanvi was one of the founding partners of Saranac having been in Financial services for over 20 years. Tanvi has a Masters in Finance from LBS and a degree in Chemistry from the University of London. Thymios joined Saranac in October 2017, from SDG, a strategy consulting boutique based in San Francisco. Thymios focuses on strategy and financial planning and supports the Private Capital team. He holds a BSc/MSc from National Technical University of Athens and a PhD from Georgia Tech. Tom joined Saranac in 2017 as a Client Advisor. Prior to joining Saranac, Tom worked with a diverse HNW & UHNW client base at Barclays and latterly, Bank Leumi. He has a BA in History & Politics from Durham University and is a Member of the CISI. William joined the firm in January 2017. Over an 18 year career in wealth management William has advised a broad range of clients at C Hoare & Co, Kleinwort Benson, Barclays and most recently, Mirabaud. He graduated from Exeter University in 1999 with a degree in Business Economics. At Saranac Partners we are proud to share our news, achievements and financial insights. If you are interested in exploring new ideas and ways to manage your wealth, please contact us.